Click Here to Sign up for the free Email Moxie Newsletter! I don’t usually like to feature articles and posts that are not original, but I will make an exception in this case. I ran across an interesting article by Simms Jenkins titled When a Rose Isn't a Rose in Permission-Based Marketing. This discusses the authors experience when he received an email marketing message from a sister company of a brand that he was subscribed to. He had not opted in to the sister companies email. Is this spamming? You be the judge. One afternoon, I was minding my own business when an e-mail landed in my inbox and prompted me to do a double take. Not in a "wow that is something uniquely cool" kind of way. But in a "legitimate brand just spammed me" kind of way. Some may shrug their head and say "duh." Still, I was surprised, frustrated, and wanted to try to make sense of this. Here's what happened: I received two e-mails from two different brands within two minutes - RedEnvelope and ProFlowers. I sensed something was wrong. I had previously opted in to receive e-mail messages from RedEnvelope. While I rarely buy from RedEnvelope, its e-mails are generally well done. On the other hand, I haven't had any contact with or purchased anything from ProFlowers in years. I unsubscribed from e-mail marketing lists for ProFlowers and other florists because they were sending out too many e-mail messages. As an e-mail marketing purist and true believer in permission-based e-mail marketing, I replied to RedEnvelope, asking why it transferred my e-mail address to ProFlowers. I also replied to ProFlowers asking exactly how, when, and where I opted in to this list. The good news? Each quickly replied to my queries, which is often a surprise. The bad news? Representatives at both companies didn't fully understand the concept of permission marketing. "I apologize for the confusion, however Proflowers is our sister company which is why you have received an email from them." I hope you, dear reader, find this as unsettling as I did. After about 10 exchanges with customer service, one rep from RedEnvelope, Stephen S., provided the following explanation about how and why I was added to ProFlowers' database. "Basically Proflowers owns RedEnvelope. We are one in the same company operating in the same offices. No information was sold/given to any third party affiliate. ...RedEnvelope and Proflowers are the same company. We operate in the same database with the same customer base. Our customers know that RedEnvelope and Proflowers are the same company because of the logo's that are displayed on each website. If you go to www.redenvelope.com, you can clearly see proflowers at the bottom where it reads, "Our Family of Brands". We even offer proflowers and Shari's berries items on the redenvelope site. Because we operate in the same building under the same management, no information has been given to any third party affiliate." Indeed, San Diego-based Provide Commerce owns RedEnvelope and ProFlowers. However, none of that matters to me. Nor does it automatically transfer my permission from one company to the other. I didn't sign up with Provide Commerce (the parent) or ProFlowers (the sister), so the background family noise is irrelevant to me. I would assume 99 percent of their customers feel the same way. Customers typically don't know or care who the parent or sister company is. Unless I sign up with the corporate parent or a broad newsletter that outlines what I'll be receiving (and why), I better not get an e-mail from another brand, company, or anything else affiliated with whom I provided my consent to for future mailings. "These are customers! Why assume that they will want a sister brand?" said Stephanie Miller, VP, market development at Return Path and a fellow ClickZ columnist. "It's a great way to increase spam complaints and unsubscribe requests. It is OK to cross-promote. Why not send a great offer from RedEnvelope, featuring ProFlowers? That way, RedEnvelope serves its customers with cool, timely offers and adds value to the relationship." A cross promotional e-mail would have been acceptable and probably relevant. But a full transfer of my e-mail address from RedEnvelope to ProFlowers is unacceptable. Did RedEnvelope violate CAN-SPAM? Nope. Did it cross the boundary of permission e-mail marketing? Absolutely. Bill McCloskey, founder of Email Data Source, disagrees and offers an alternative view of this practice. (He analyzed ProFlowers' recent Valentine's Day campaigns and called it one of the more inventive and successful e-mail marketers. "I think the definition of best practices is often misunderstood," McCloskey said. "Best practices should refer to the e-mail practices that ultimately generate the most revenue, not some arbitrary code of conduct. If you spam people, your delivery will go down, you will be blacklisted, and you will make less revenue. In the case of cross promotion and sharing of sister company lists, the standard we need to look at is: does this practice increase or decrease revenue in the short run and in the long run." It's not my intent to embarrass either RedEnvelope or ProFlowers. 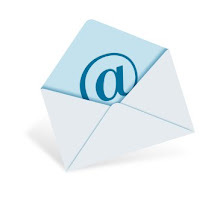 My goal is to highlight a continued gap in e-mail marketing - a battle between people who care about permission-based e-mail marketing and those who "blast" e-mails to a "list." Advocates of permission-based e-mail marketing must keep fighting the good fight. If we don't, we'll all just be sending e-mails instead of delivering relevant, valuable, and targeted messaging to people who asked for them. What's your take on this situation? Jordan Lane is an Email Marketing Expert, consultant and author of 52 Days: The Cancer Journal. 52 Days : The Cancer Journal's purpose is to help those who are battling cancer and their family . 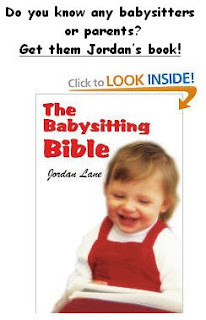 Please send me an email if you would like to connect and learn more about this wonderful book. URL in the Subject Line? - http://www.R-U-Serious?? Subject Line Testing in Email: Just Do It! President's Day, Presidents' Day. Who knows. Who Cares? 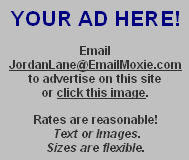 FIND PAST EMAIL MOXIE POSTS Click on past months. Sign up for the free Email Moxie newsletter! 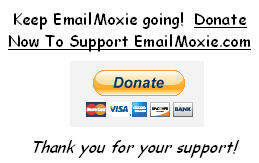 Don't Forget To Bookmark Email Moxie! I can review your program and suggest ways to improve. You will not be disappointed. Which ESP Is Best For You? Find Out Below!